At most FinTech companies, banks, and credit unions, the start of a new year means planning for conferences. And for some odd reason, there seem to be two groups of people when it comes to conferences and trade shows. It’s a love/hate relationship – you either fall on the side of seeing all the good in conferences or you think they’re complete wastes of time and resources. I for one fall into the “love” category, and I’ve been this way since I started working in FinTech almost 15 years ago. The company I worked for was a small startup and we just started selling payments in the utilities marketplace. I was a new account rep and it was my first tradeshow. It was magical! I stood in a booth; people came up to me and asked questions about my product; and I talked to them about it. In 10 minutes I could present the value proposition and product differentiation, show a demo, and set a follow-up meeting. It was like speed dating for sales … and I loved it. The magic wasn’t in the experience at just that one conference – it was the following conferences. I would call customers and prospects in my territory and set up valuable cost-saving meetings at the conference with interested prospects. I started turning my “luck” into opportunity. Hope was not a strategy … I started measuring success based upon how many of my calls were turning into actual engagements. It was like mining for gold, and I signed up to work every conference our company was attending. We used those statistics to drive more spending for the shows and the correlation of attendance to adding new customers made it a home run. But the conference/tradeshow landscape is so much bigger now. It takes a completely difference approach to determine attending and deciding how to best spend that valuable budget money. On the flip side of the equation is the conference/trade show circuit for buyers. So why would you, the FinTech buyer, spend the money to travel and attend these conferences? I can’t speak to what you budget each year for these events, but if you do it right, the opportunity far outweighs the expense. Choose wisely. 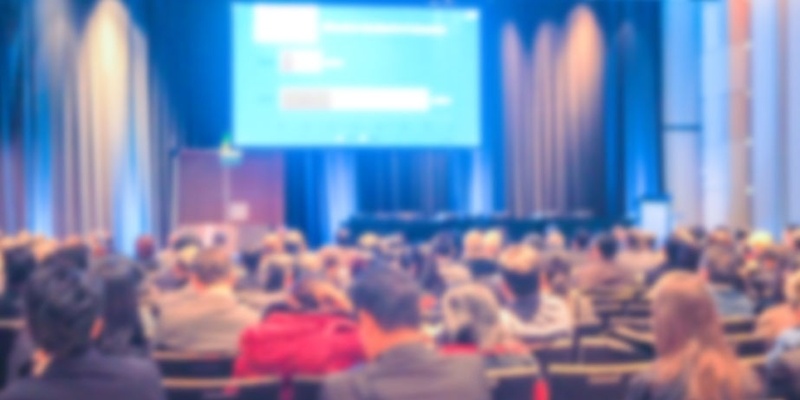 Assuming you can’t attend every conference, pick those that have high vendor attendance, are well-sponsored, and include many of your peer attendees. If you see a conference can’t get enough sponsors and has hundreds of vendors, you can assume there is a reason for that. National conferences that drive high attendance usually provide great insight through sessions and have a diverse exhibitor layout. Look for those that give the information well ahead of time and have an app for your phone so you have everything at your fingertips. Plan ahead. If you know what products your financial institution is interested in evaluating, look at the conference app ahead of the show and map our your visit. Find the vendors and sessions that best fit your needs. If there is a particular vendor you are really interested in, reach out ahead of the conference and make sure they have dedicated time specifically for you. Even better, if you are already talking to some of these companies, make sure they all have dedicated time for you. The beauty of the situation is, they will make your schedule work for them while you are there. Take full advantage of an onsite meeting and spend the time you need to evaluate their solution. Flex your muscles. You have all the power! These FinTech vendors budget thousands of dollars every year to be there standing around waiting for you to show up. Look at your product spend, current contracts, and potential initiatives, and visit those companies. Ask questions, make them show you what you want to see, and don’t be afraid they are going to try to sell you something in the booth. (Everyone has heard the story of the customer who signed a contract at the trade show booth … yea right!) If you are doing your job right, you want them to try to sell you something. You take good notes, and follow up after your rank your experiences and feedback in order of your interest. Once again, if you choose wisely you have at least three to four vendors in each product category to speak to. Enjoy the show. Organizers pick great cities for user conferences, regional conferences, and national conference, so enjoy it. Participate in the sessions, learn what is happening in the FinTech world so you can be an educated buyer. Your peers, established experts, and the vendors in attendance are all working to provide quality insight on the world around you so you don’t have to do all the research alone. Ask questions during these sessions and town hall-type meetings. Meet with your current vendors and establish time to go over your goals with them while everyone is in the same place. Go back and fill out your evaluations. The true power of these conferences is being a “power user” and returning. Once you have a lay of the land, it makes the following year easier to plan for and navigate. Give feedback and tell these conference leaders what you would like to see. Remember to flex your muscles. These events are put on and paid for entirely to benefit you. I am one of the lucky ones, I get to attend 10 – 15 user conferences, national shows, and regional events annually (combined). I don’t wait in the booth anymore, but I use every show as an opportunity to meet all my business partners, customers, and colleagues while we are all in the same location. Even if we just saw each other a few weeks earlier at a different conference, I always want to take advantage of the opportunity to spend face-to-face time with the people I am working with in the industry. In a technology driven world and industry, it’s refreshing to have some good old conversations, handshakes, and maybe even coffee or a meal. No matter how many years pass, or how many times I do it, it’s still a goldmine. I choose wisely the events I will cover each year; I plan ahead and get meetings on my calendar; I flex my muscles and use current needs and events happening to drive my meetings and conversations with customers and partners interested in what we are doing; I enjoy the locations and the local fare when we meet for events and meals; and I always go back to those shows that make the time and money spent well worth it. As an experienced speaker and presenter, Danny Payne is the Sales and Strategic Alliances Manager of Payments products at ProfitStars. These duties include partnerships for the iPay Solutions and EPS group, along with Banno Mobile and SmartPay Biller Direct. He oversees day to day partner strategy which includes corporate sponsorship, product enhancement and education, and manages the business development of ProfitStars Biller Direct strategy. Payne has over 12 years of electronic payment experience in credit card, ACH, Biller Direct payment systems and consolidated bank bill pay services. He is a long time member of the NACHA CEBP, AFP, and is a member of the iPay Solutions Client Advisory Board. Payne served as VP of National Sales for iPay Technologies in 2007 and 2008. Before returning to iPay/ProfitStars he was the Director of Sales for SourceHOV, where he was responsible for developing the electronic billing and payment strategy for one of the largest print and mail bureaus in the United States. Prior to SourceHOV, Payne held executive sales leadership positions with ChoicePay and Fort Knox National Company.